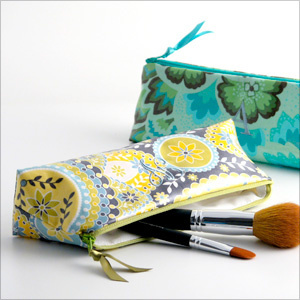 This unique shape is perfect for storing all those expensive makeup brushes. 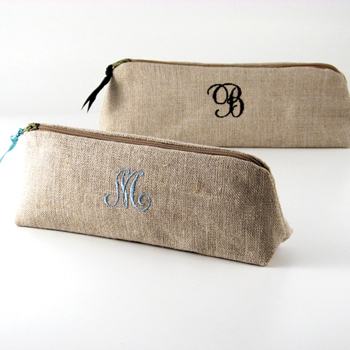 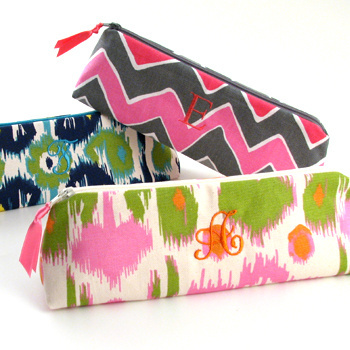 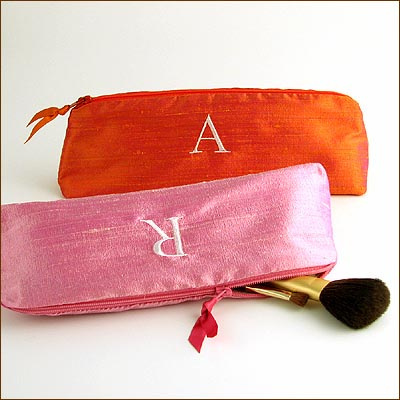 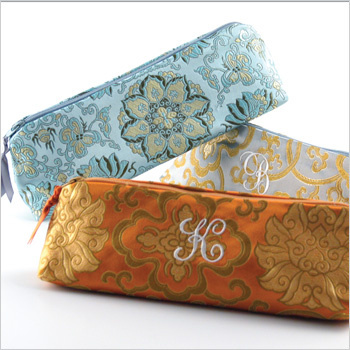 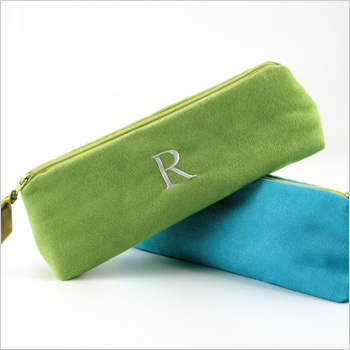 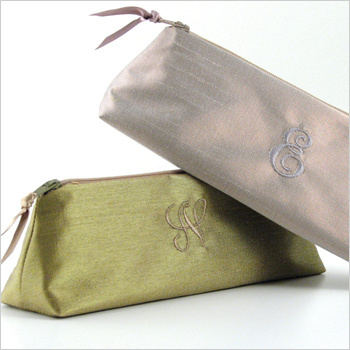 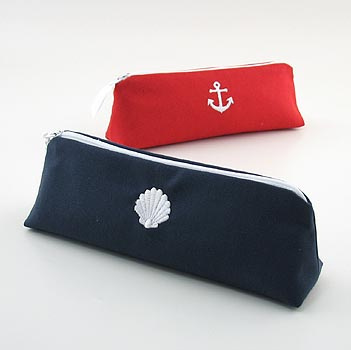 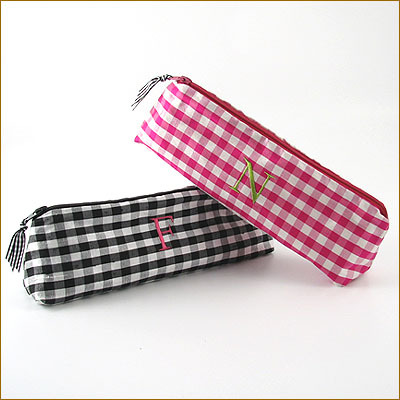 Our cosmetic brush bags come personalized with a single embroidered initial of your choice, an icon or blank if you like. 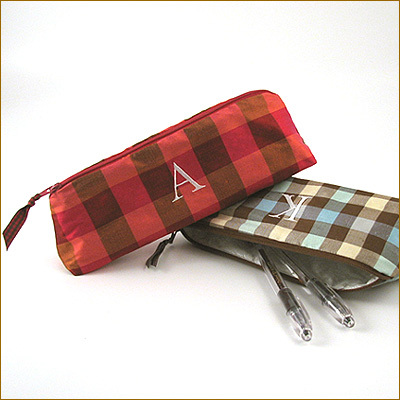 Each case is lined in our unique water repellent fabric and proudly made in the U.S.A.